Te Poti ro Potae is a new translation of the popular children's classic The Cat in the Hat by Dr. Seuss. Both the cover and the contents are in Maori only (it is not a bilingual edition). The story has been freshly translated by Ngamaru Raerino, a Maori-language lecturer at Auckland University of Technology and a Maori-language consultant for TVNZ. He has placed a special emphasis on retaining the rhythm and fun of the original in his translation. 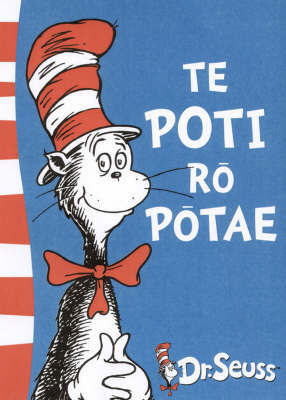 Te Poti ro Potae will have the same format and have exactly the same black, blue, and red illustrations as the much-loved traditional English-language edition.